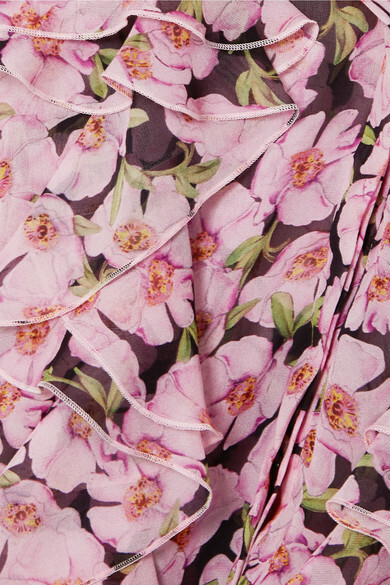 Giambattista Valli's exquisite floral-print creations always look as though they've just stepped out of a lush botanical daydream. 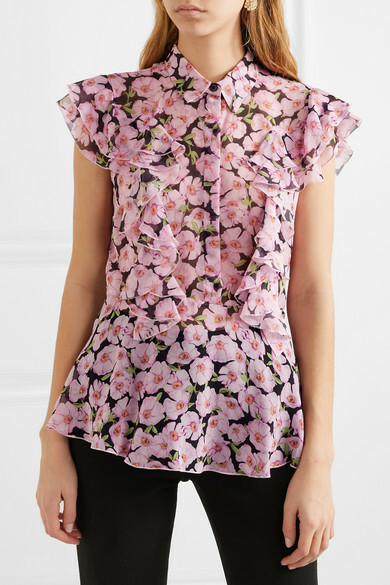 This top is made from swathes of lightweight silk-georgette patterned with painterly pink primroses. 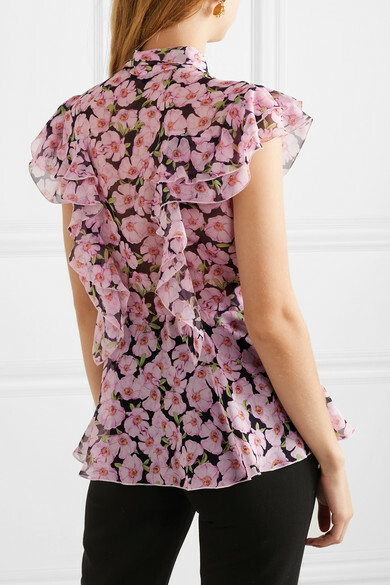 Pretty ruffles detail each shoulder and the hem is cut in a soft peplum, making the blooms appear as if they they're blowing in a breeze. 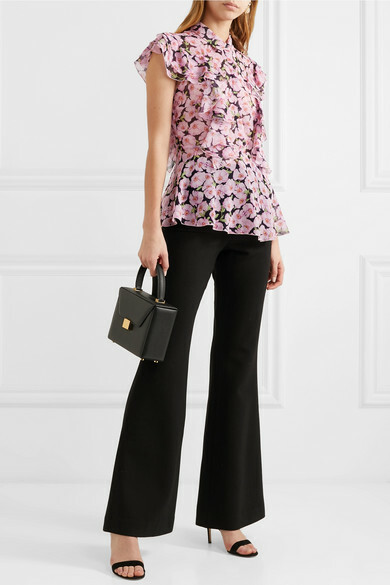 Shown here with: REJINA PYO Pants, Victoria Beckham Tote, Gianvito Rossi Sandals, Beaufille Earrings.